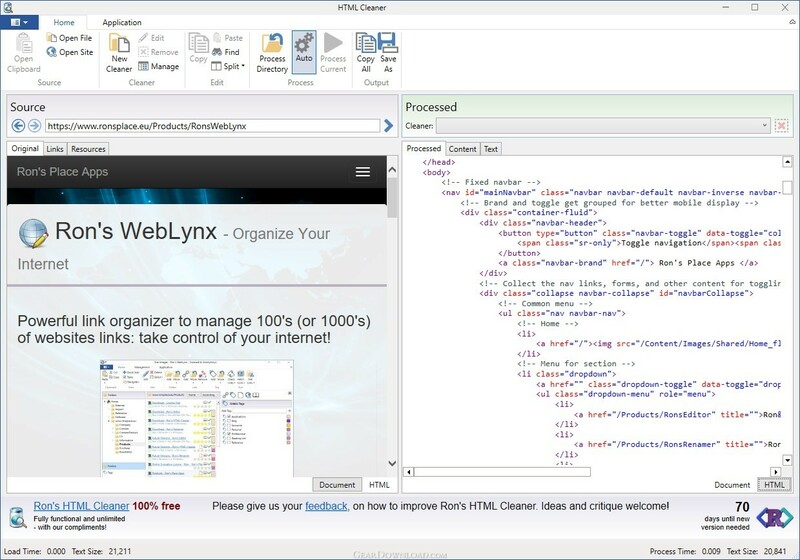 Rons HTML Cleaner - Clean, process and format HTML from any source. Checks link, media and content. This download (Setup.exe) was tested thoroughly and was found 100% clean. Click "Report Spyware" link on the top if you found this software contains any form of malware, including but not limited to: spyware, viruses, trojans and backdoors. Aerotags Search Expert 1.33 - Create a unique search tool for your website, downloaded web pages, CD, DVD etc. WebSite X5 Evolution 9.0 - The outstanding tool for creating websites, blogs and online stores. HandyHTML Studio 3.0.7 - High-end XML/ HTML/ CSS/ Java Script/ ASP/ PHP/ PERL/ JAVA/ C++ editor. Popup Window Toolbox 1.0.0 - Popup Window Code Generator for webmasters needing a quick easy solution.